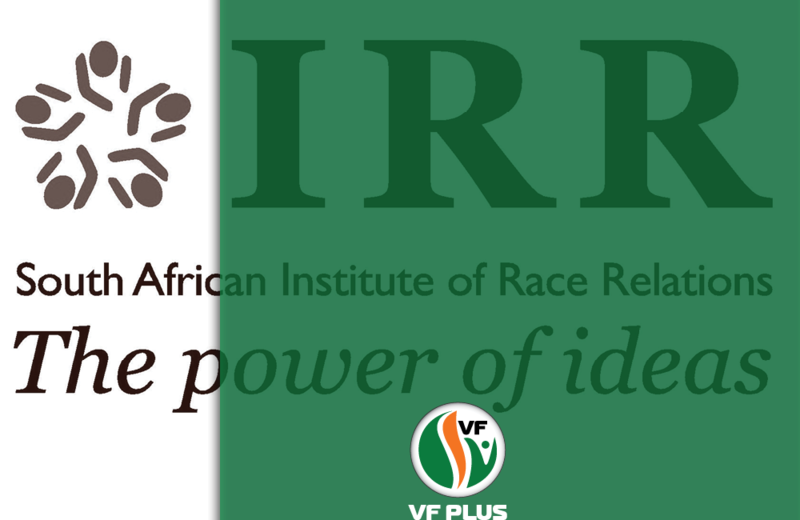 The latest poll by the Institute of Race Relations (IRR) shows that the FF Plus in Gauteng is busy growing steadily. “It is, however, worrying to see that the EFF is also growing as that will make establishing a coalition government consisting of reasonable opposition parties more difficult. The FF Plus is therefore calling on all minorities in Gauteng to support the FF Plus so that the party can grow and effectively oppose the EFF and ideally even eliminate the EFF as possible coalition partner,” says Anton Alberts, FF Plus premier candidate for Gauten and party chairperson. “The EFF is notorious for undermining the existing coalition governments in Pretoria and Johannesburg and according to a recent news report in The Citizen, Julius Malema said that the EFF will appoint its own mayor for Pretoria/Tshwane. “If the FF Plus gets 10% of the support and other reasonable opposition parties jointly get 40%, then Gauteng can be governed by a coalition government without the ANC and the EFF. If that is the case, the FF Plus will ensure that its Manifesto is implemented, that merit is reintroduced in the public service and that minority rights are respected. “Gauteng voters, thus, have a choice: the FF Plus as strong coalition partner to bring about stability or a possible coalition between the ANC and EFF,” Alberts says.